All digital marketing strategies should be powered by data. Putting data at the core of your decision-making means you minimise the waste caused by assumption and instead focus your efforts on what you can see and measure. “We call this the Radiant model,” says Vertical Leap’s managing director, Matt Hopkins. “There are a lot of digital marketing models out there; they’re not necessarily wrong, but I don’t think they accurately reflect what’s going on. It wasn’t long ago that the internet became awash with expert-written articles claiming content was ‘king’. Specialists across the sector were quick to state their belief that for a strategy to be complete and effective, it must be driven by content. The spotlight was subsequently placed firmly on news feeds, blogs, graphics and videos – but efforts were often misguided. To a certain extent, the hype was to be believed. Content is a crucial ingredient of digital marketing success. Is it the starting point, though? Is it really driving your strategy? Is it inspiring better marketing decisions? Probably not. These responsibilities lie with data. Data now exists in colossal volumes. According to computing giant IBM, we create more than 2.5 quintillion bytes of it every day. This figure’s growing rapidly too: the IDC expects there to be 44 exabytes of data in existence by 2020, marking a tenfold increase from 2013. This information takes many forms, and can be found everywhere; it comes from social media sites, credit card transactions, connected cars and customer questionnaires. While data has always been a part of marketing, even in the pre-computer age, never before has it been so important or valuable. It’s for this reason that there are now so many different data tools, all designed to extract, generate, manage and process information. With all of the above in mind, Matt decided it was time to reassess the whole ‘content-driven’ approach. He instead talks of an industry that places equal emphasis on content and data – but they sit very comfortably at two ends of a digital marketing continuum. To begin with, you have marketers getting insights from the information they collect. You can now track and analyse every little detail: the point at which somebody enters a website, where they came from and even what they do while they’re there. The quality of this data is improving by the day, as are the tools that help us utilise it; we can dig deeper than ever before. When it’s implemented properly, this kind of data should positively influence everything you do: every service you provide, every decision you make, every conversation you have. Gone are the days of acting blindly, or on knowledge and experience alone. 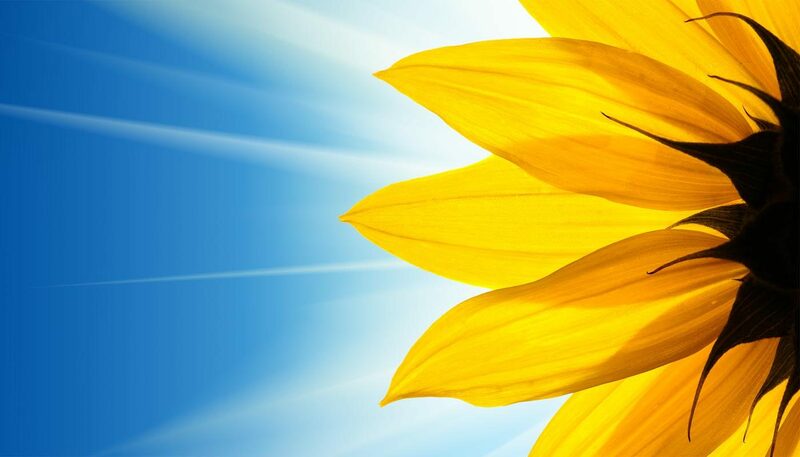 Now these elements can, and should, be complemented by insight. At the other end, you have to be able to communicate with customers, prospects and partners – and this is where content comes in. However you decide to reach and engage with people, there must be a physical or digital touchpoint. It could be in the form of a landing page on the company’s website, an email to a partner or a solitary tweet, but all of these are forms of content. What’s important to note in all of this, is the fact that data is at the heart – not content. You need demographic, transaction history and content consumption data before starting anything, for instance – it all helps to ensure what you write is relevant to your target audience at that particular moment, and that it has the best possible impact. Great data doesn’t just equal great content, however; it’s not that simple. Connecting the two should be a versatile combination of specialists, tools and services. You have PPC experts, for instance, using technology to harvest keyword data so they can understand how best to utilise the advertising opportunities available to them. The answer may be a landing page, or it could be a banner ad – either way, it’s content and it has been informed by data. The same is true for an SEO specialist who might choose a long-form article as a way of optimising a site to help it climb the search rankings, or a social media strategist who learns about their audience on Google Analytics and then chooses the tone and language used in their tweets. The point is, data radiates through all elements of modern marketing – it influences everything today’s marketer does for their clients. It’s not a direct process, though. This data begins in a raw state, and then travels through various filters – layers of expertise, or tactics – to influence what will eventually be the final touchpoint. It’s at this filtering stage, where the information is interpreted by human specialists, that success levels are determined. This new model, as Matt readily admits, “isn’t turning anything on its head” – most specialists are already working in this way. It is, however, a much clearer way of explaining how the industry operates at present. 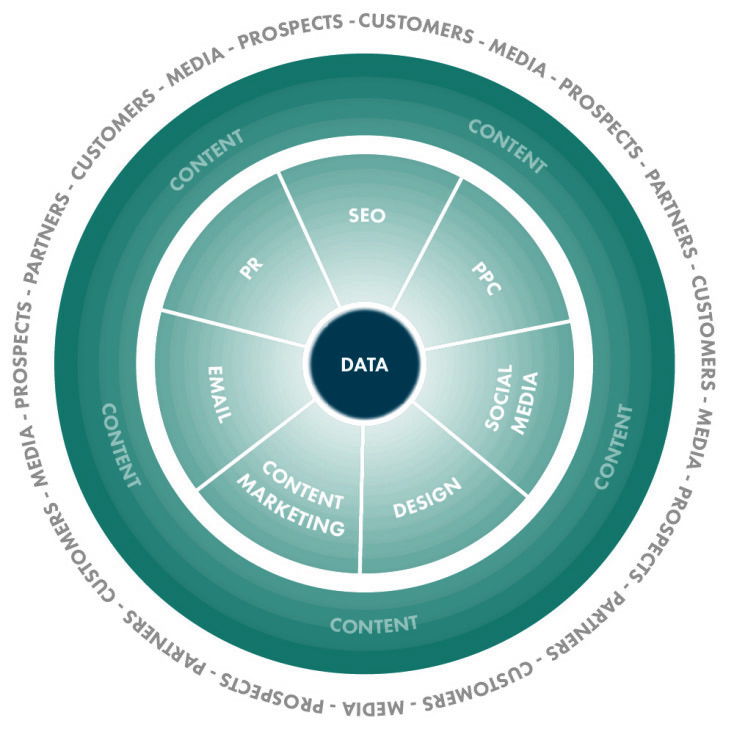 It puts data in its true place: at the core of digital marketing.